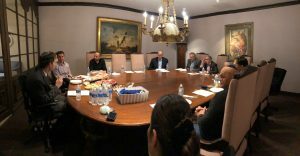 On Thursday, January 24, Sinai Temple launched its very first Beverly Hills edition of Lunch & Learn On the Go. 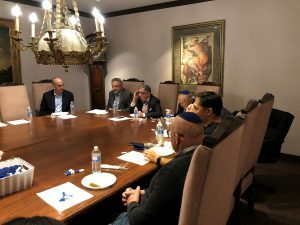 Hosted by members Ira Friedman and John Hay, approximately 15 Sinai Temple members joined Rabbi Sherman for lunch and a discussion of Is There Religion In Your Workplace? 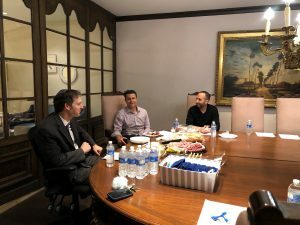 Attendees included both longtime and more recent Sinai Temple members, and also crossed industry lines. Lawyers, real estate professionals, doctors and software engineers, among others, found common ground in this engaging topic and discussion. The free deli lunch was a draw too!